Tableau is, in many ways, the blue print for visual analytics, with an exceptionally easy to use platform for exploring and visualizing large volumes of data from multiple different sources. 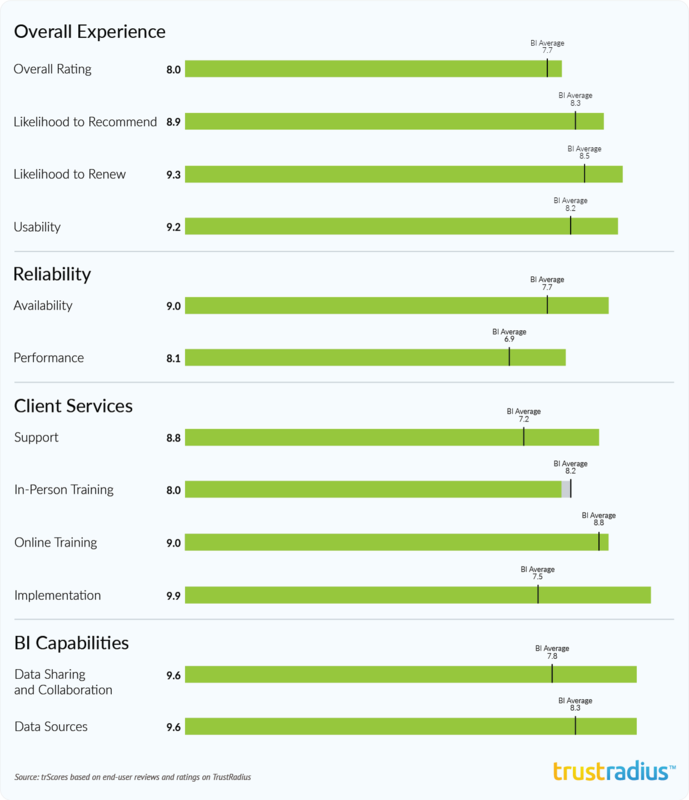 Tableau&apos;s position on the TrustMap reflects end-user reviews and ratings of Desktop and Server. Tableau Desktop is used to visualize and analyze data, create workbooks, visualizations, dashboards and stories, while Tableau Server allows users to publish workbooks so that they are available in a central location for viewing by others. The product was designed with business users in mind, and has been remarkably successful at serving that audience. This success has led to more and more requests for more enterprise-level features like data governance, and data preparation. Tableau provides robust governance in the Data Server part of Tableau Server and introduced data preparation capabilities in Tableau desktop version 9. In March 2016, the company acquired the German startup HyPer, which is a database system designed to process streaming operational data. This product will be integrated with the Tableau product side and will fill some of these gaps and also provides support for unstructured big data analysis. 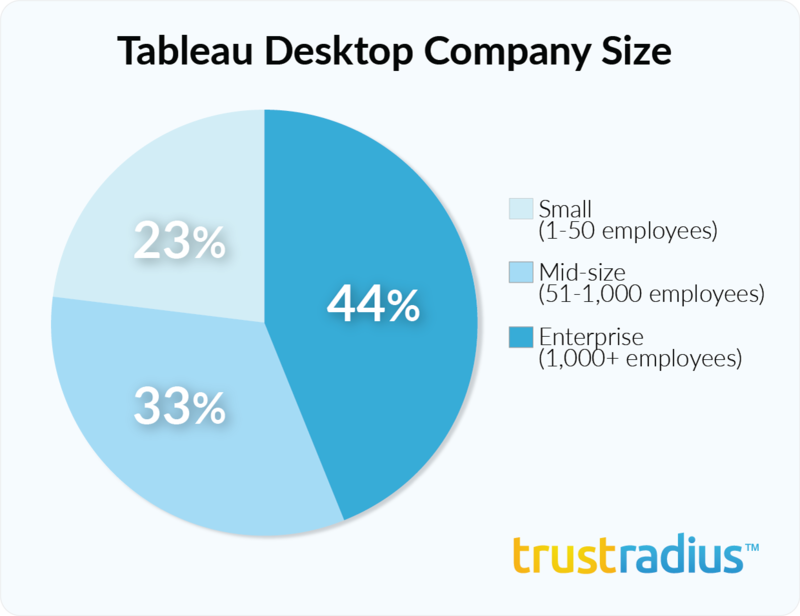 Tableau Desktop is Top Rated in all three company size segments. 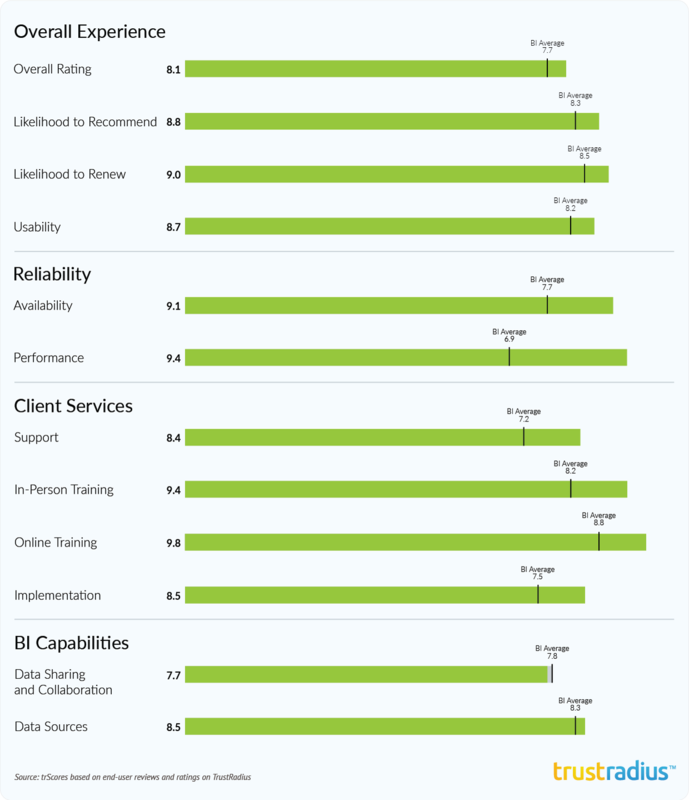 Tableau Server is Top Rated in the mid-sized company and enterprise segments. 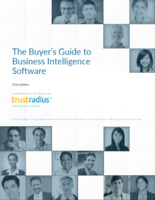 TrustRadius is working to gather additional reviews of the Online product. Tableau is an excellent tool for business analysts allowing them to do discovery and visualization on data from a large number of data sources with ease. However, it requires additional products to help prepare the data for analysis. It is also not designed for enterprise reporting. 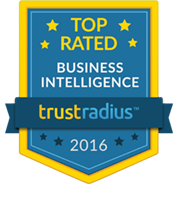 TrustRadius does not have enough reviews for the Online version, but will endeavor to provide better coverage in the future. Very comprehensive library of visualizations. The software is able to autosuggest an appropriate visualization based on the type of data. It&apos;s possible to visualize millions of rows of data very rapidly. Visualizations can also be refreshed as underlying data changes. 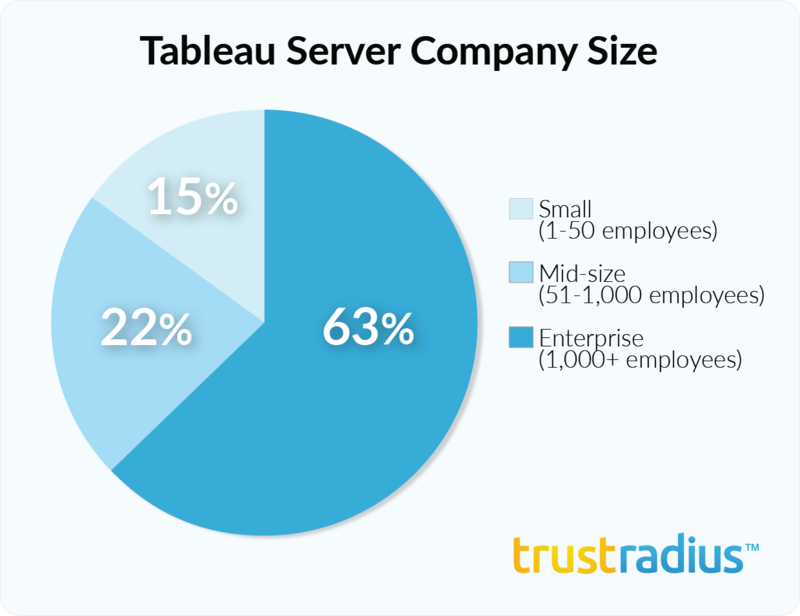 Tableau is not designed as an enterprise-reporting tool providing tabular reporting. The product lacks governance, version control and has only limited data preparation/ETL capabilities and users often use the product in conjunction with a data preparation product like Alteryx. It&apos;s is very easy to direct connect and retrieve data from a wide variety of databases, including Hadoop and MPP databases like Vertica, without any interim transformations required. Although the product does have integration with the R analytical language, predictive and statistical analysis requires programming and scripting skills that are beyond the abilities of most business users. Highly intuitive user interface uses drag-and-drop metaphor and allows users to start using the product very quickly. New users can start to build dashboards with minimal training. Users can create very powerful dashboards with advanced segmentation and filtering capabilities. However, some users report difficulties with object placement on dashboards. Many users like the mapping widget, which provides powerful geographical mapping capabilities. Geospatial data can be represented as point maps and filled maps. Tableau Server is a very effective for sharing and collaboration and offers robust permissions with three different access levels.